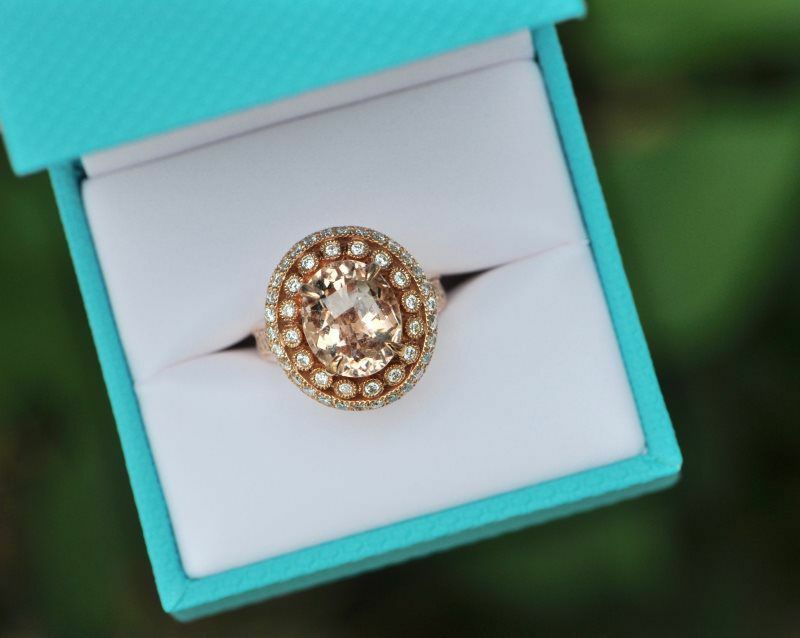 14kt Rose Gold Ring Featuring an Oval Morganite with Diamond Details. Finger Size 6.5. 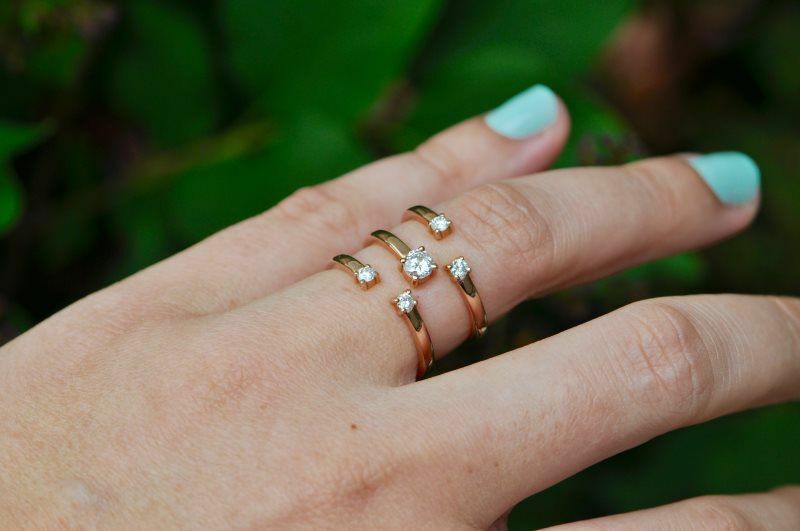 14kt Rose Gold 5 stone Diamond Ring. Finger Size 6. 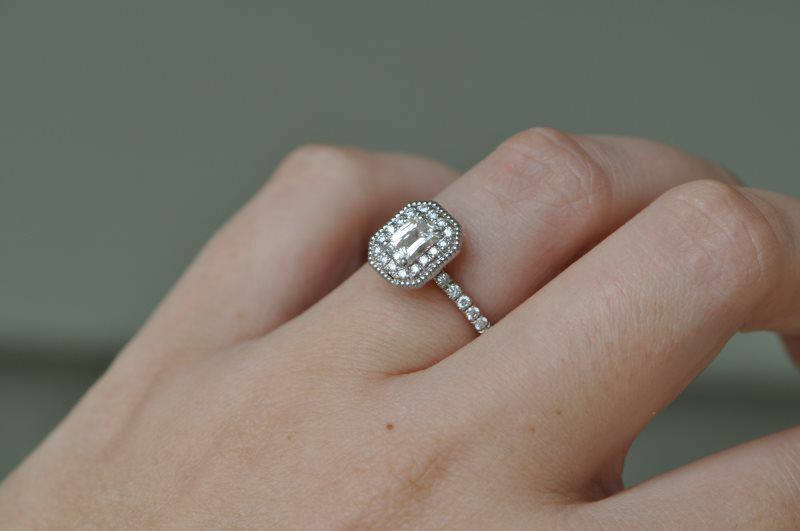 Custom Engagement Ring with 0.80 carat, VS2, K Fancy Emerald Cut Engagement Ring with Diamond Halo, Diamond Shank and Diamond Details under the center Diamond. 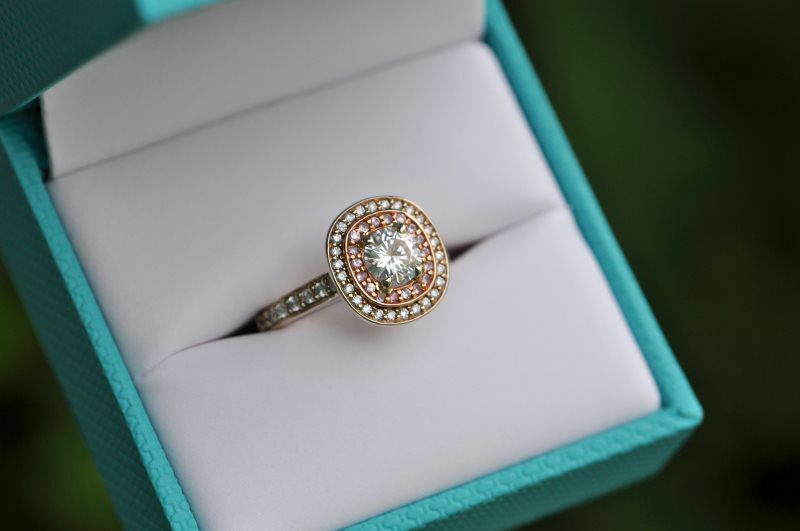 Milgrain Beading is featured on this engagement ring for modern vintage style. Finger Size 5.75, but can be altered. Make an appointment to try me on! 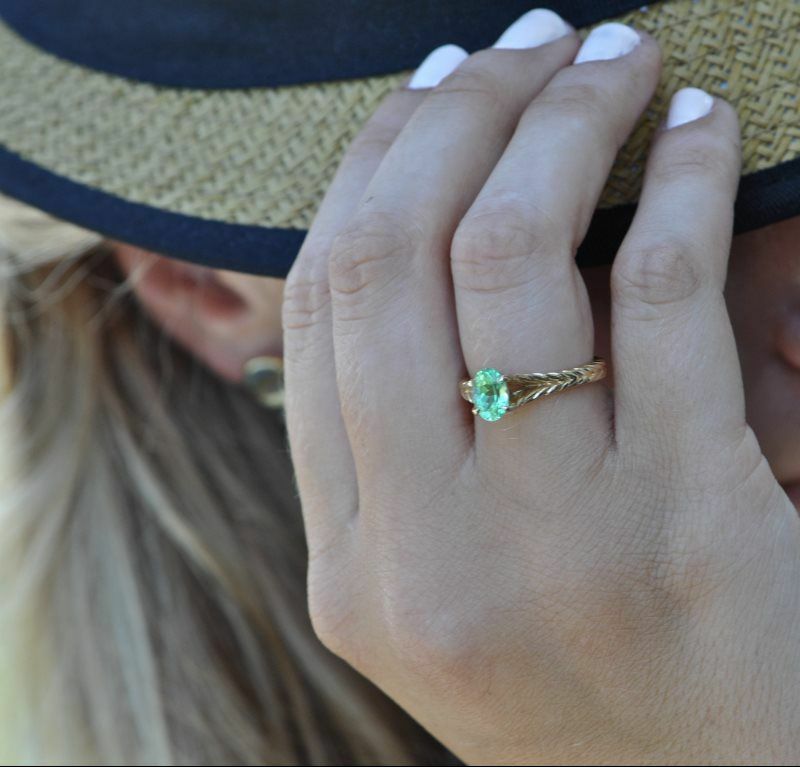 14kt Yellow Gold Ring featuring a 1 carat Merelani Mint Green Garnet. 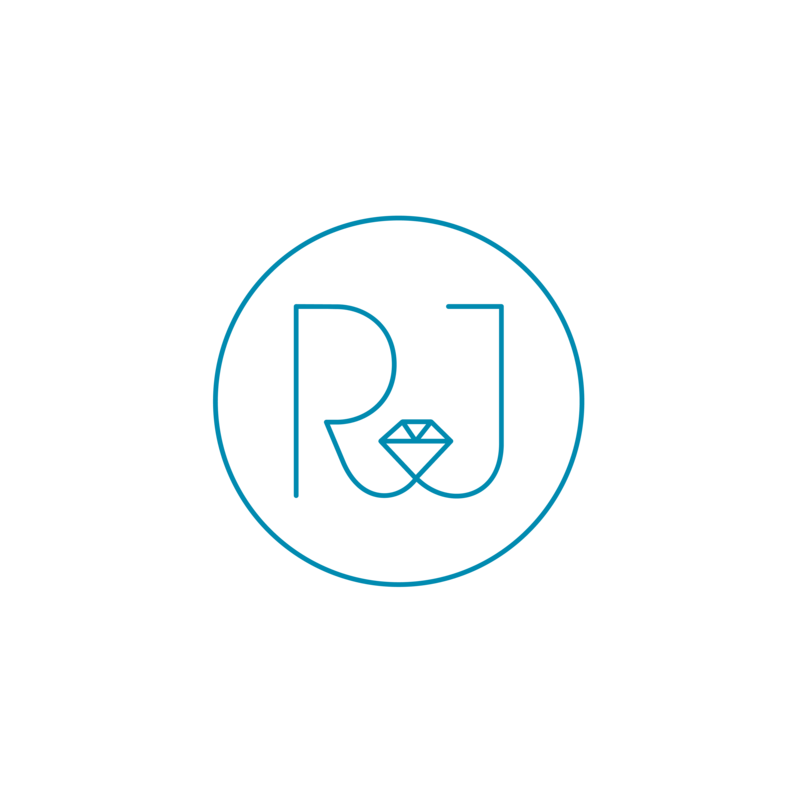 Diamond x detail on side of ring. 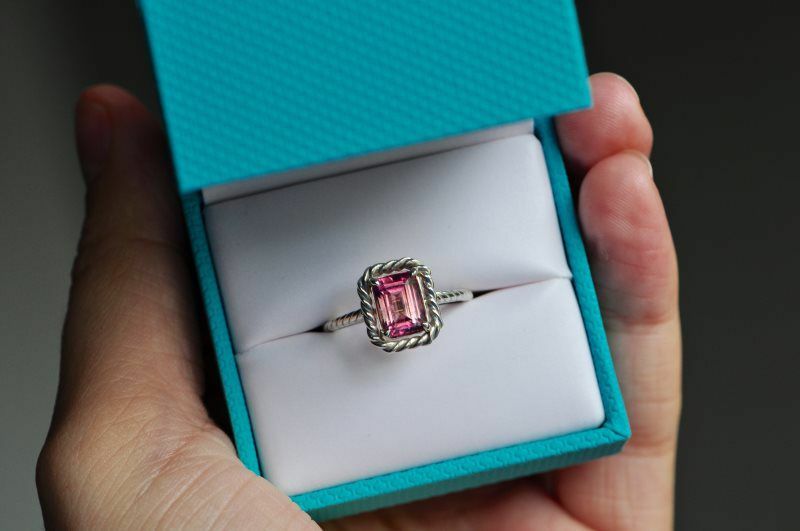 Ring size 7, but can be altered. One availabe.